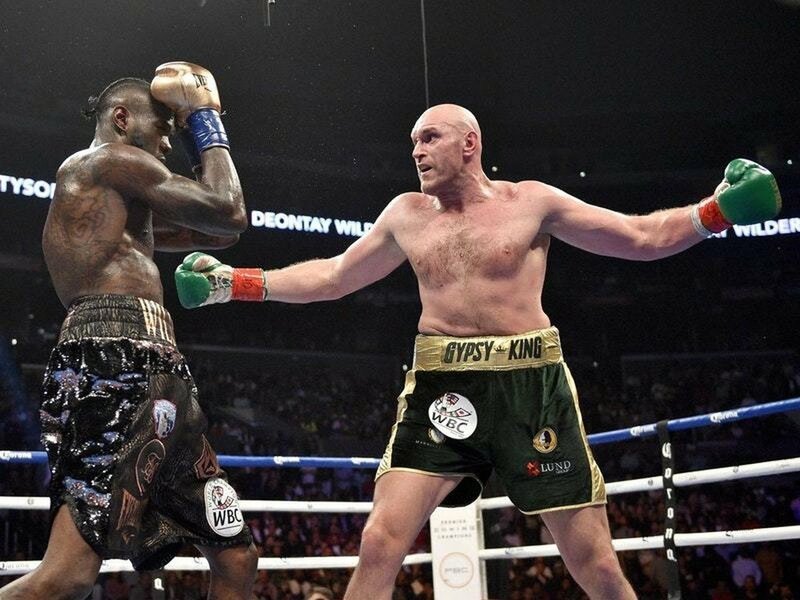 Last Saturday Englishman Tyson Fury took on reigning WBC Heavyweight champion, the American Deontay Wilder, in one of the best fights of 2018 across all combat sports. The 12 round classic featured a nuclear clash of styles as wild power puncher Wilder headhunted the ever elusive mover Tyson Fury. Everything was going to plan for the “Gypsy King”. Wilder was hitting thin air and getting tired, while Fury pushed the pace and landed counters. Until the 12th round, when the “Bronze Bomber” finally connected. In a flurry of wild strikes, the incumbent champion planted a left hook on Tyson, flattening him. Wilder strutted towards the camera, confident his KO power had saved him once more. He was not alone in his assessment. Myself and many others believed the night to be over. Fury had come up short in the final moments of his glorious comeback. His story would not have a happy ending. Then he got up. Fury rose back to his feet after what looked to be five or six seconds of genuine unconsciousness. The commentators, the audience, the world and Deontay Wilder watched Fury seemingly come back from the dead to finish the fight. With enough points racked up in the prior boxing masterclass the “Mack” celebrated, the crowd fully behind him as he accomplished what so many thought was an impossible task, both in the ring and out of it. Fury had conquered personal demons and returned to the sport. That night, he conquered his own petty mortality to once again hold a championship belt. Only, that last part didn’t happen. Despite every member of the broadcast team, including both the British side and American sides, scoring the fight comfortably for Fury, one of the judges begged to differ. In a baffling move, Judge Alejandro Rochin handed in a score card reading 115-111 in favour of Deontay Wilder. With one judge scoring it for Fury and one declaring it dead even at 113-113, the bout was deemed a draw. Naturally, the fighting community were not hesitant to voice their displeasure. From Lennox Lewis to Paulie Malignaggi to Teddy Atlas, the result was lambasted. (I did see some MMA fans arguing Wilder won by Pride rules, which I was thoroughly entertained by.) The emerging narrative is that Deontay Wilder was gifted a title retention in his home country, while the foreigner was shafted. A story far too familiar to fight fans. The tragedy here is not confined to a boxing ring on the night of December 1st. The grey cloud of corruption and/or judging ineptitude looms over a much longer timeline. In 2015 Tyson Fury danced with Wladimir Klitschko, much in the same way he handled Wilder. Except in the Klitschko fight he didn’t get touched by death. (Seriously, the knockdown in the Wilder fight is stunning.) 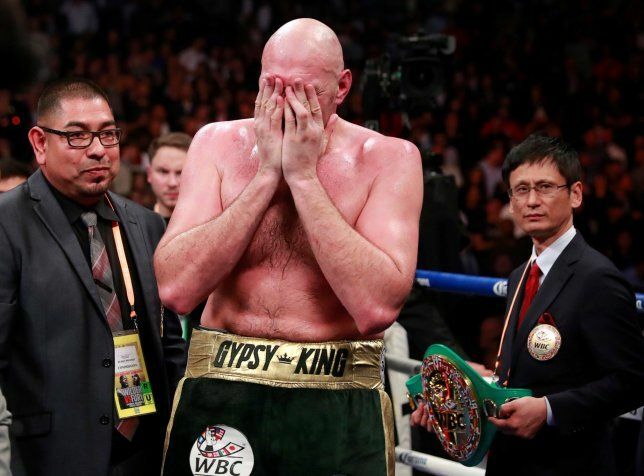 Fury was crowned the Heavyweight champion of the world on that night, and it marked the beginning of a downward spiral for the then 27 year-old traveller. Having reached a professional zenith, Fury had no choice but to come down. With no goals in sight, and a susceptibility to depressive moods, the “Gypsy King” found himself plummeting headfirst into a major depression. Ballooning from 250 lbs to 400, Tyson would spend his nights binge drinking and taking cocaine. With no will to live let alone box, his lowest moment came in the form of a chaotic late night drive in his Ferrari. Doing 190 mph on a motorway, for a few fleeting but potent moments, Tyson Fury had every intention of crashing and dying. Snapping to his senses, he thought of his wife and kids and didn’t follow through. After seeking help and speaking to those closest to him, he began to head in the right direction. He slowly began to find the drive to rebuild his life, but what of boxing? What of the sport that made him? It didn’t seem to be in the picture, until Deontay Wilder opened his mouth. At the tail end of 2017 Fury saw a video of Wilder discussing the state of “Gypsy King”. The WBC champion cast doubt on the lineal title holder. He questioned if he could ever come back, if he could get back in fighting shape. For some reason this lit a blazing fire under Fury, who began training almost immediately. Fast forward a year and everything came together. Fury got his life together, lost almost 150 pounds and won two tune up fights before signing on to face the undefeated “Bronze Bomber”. The lineal champion even changed the hearts of a nation. Once a figure of villainy in the UK to many for his particular brand of opinions, his reemergence amidst personal struggles struck a chord with many. The character rehabilitation saw Fury sowing seeds of positivity, encouraging people to battle through adversity, specifically in relation to mental health problems, to believe in oneself and help others struggling. Even his staunchest haters were turned around on him, this writer included. Formerly a vehement detractor, I found myself devastated when I thought Fury had been knocked out, and truly inspired when he got back up. Sports are a natural breeding ground for second chances, and Fury had earned his and then some. When the fight ended, it should have been a storybook conclusion, a true comeback in an age where you can lose everything in an instant. We were robbed of that, and more egregiously Tyson Fury was robbed of what he had earned. He did not leave with a championship belt, but he should leave with his head held high. This is real life, and unfairness is pervasive. Sports are conduit for real life to coagulate into digestible stories. This story did not end the way it was supposed to, or at least not yet. 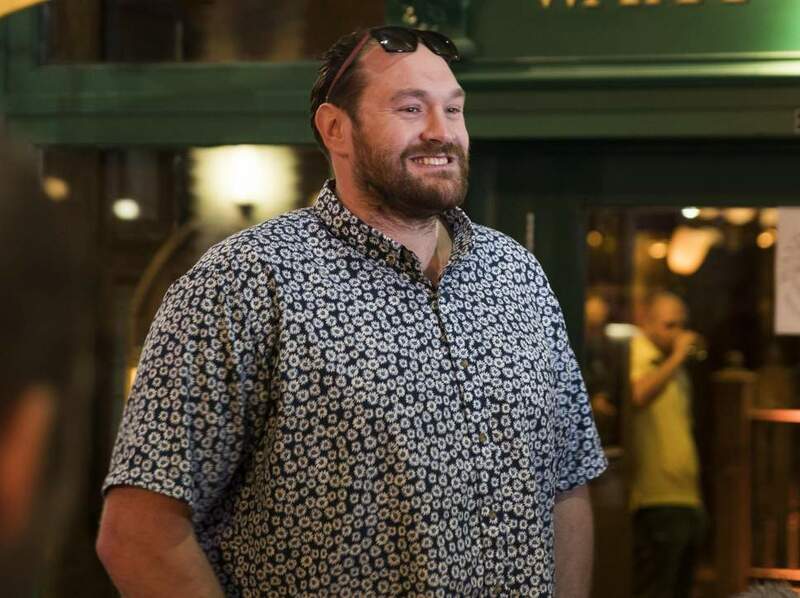 So as fight fans, and as human beings we need to take what we can get, as does Tyson Fury. To make the best out a bad situation and learn what we can. The Oxford dictionary defines a champion as “a person who has surpassed all rivals in a sporting contest or other competition”. Tyson fury may not have been awarded a victory on Saturday, but he surpassed his rivals. He conquered demons and detractors and he did it while spreading a message of positivity and recovery. If that wasn’t enough he’s decided to donate his entire £8 million fight purse to homeless charities. 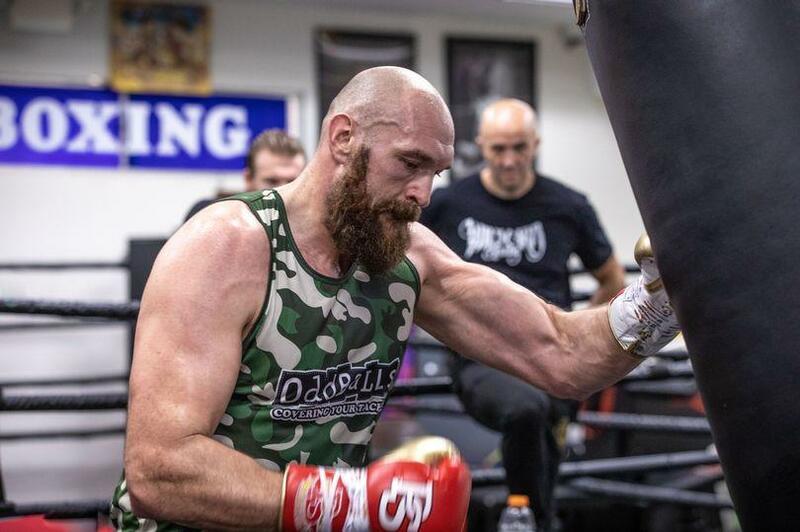 In a heartfelt post-fight interview Tyson said, ” I just showed the world that, everyone suffering with mental health, that you can come back, and it can be done. Everybody out there who has the same problems that I’ve been suffering with, I did that for you guys.” He got up in his life and he got up in the ring. Tyson Fury is someone to be admired, belt or no belt. A true champion. Here’s to the rematch. Images courtesy of independent.co.uk, metro.co.uk, shropshirestar.co.uk and belfastlive.co.uk.